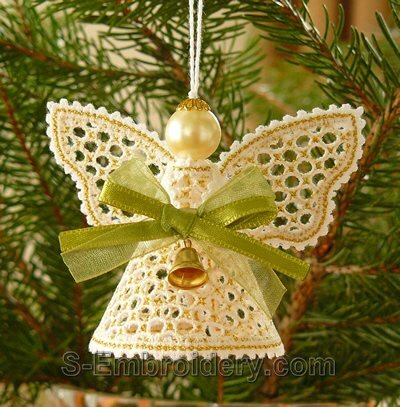 With this Battenberg lace machine embroidery design you will create nice free standing lace ornaments for your Christmas tree. 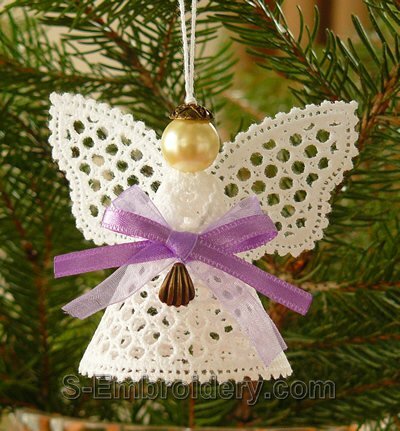 The Christmas angel embroidery design is made up of two parts. Both will fit in a 4x4 hoop. 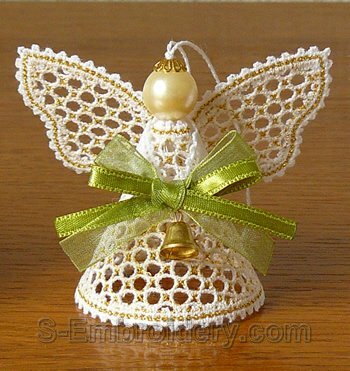 The angel is available in 2 versions - with 2 colors and a single color. 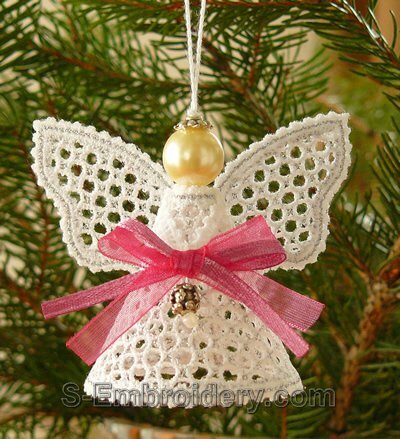 You receive 4 machine embroidery files (both versions of the Christmas angel embroidery design) as well as 2 PDF files with design information and instructions for creating your Christmas tree freestanding lace ornaments.